Six months after U.S. Secretary of State John Kerry announced plans to expand options for Central Americans fleeing violence and persecution in their home countries, those plans have yet to emerge. Anne Richard, U.S. assistant secretary of state for population, refugees and migration, said Thursday that the program was “still on the drawing board.” Richard was in San José, Costa Rica, last week to attend a conference on how to address the flood of people fleeing violence in Guatemala, El Salvador and Honduras, the so-called Northern Triangle countries. The conference was organized by the U.N. refugee agency (UNHCR) and the Organization of American States. The U.N. has characterized this exodus as forced displacement and the biggest outflow of people since civil wars ravaged the region in the 1980s. The number of asylum requests by citizens of Guatemala, El Salvador and Honduras was up 880 percent last year compared to a decade ago, according to the UNHCR. Most of the uptick happened after 2010. Costa Rica and other Latin American countries have seen an increase in asylum requests from Northern Triangle countries, but the vast majority of requests have been lodged in the United States. Citizens of Guatemala, El Salvador and Honduras filed nearly 50,000 asylum applications in the U.S. last year, compared to fewer than 4,000 in 2015. In December 2014, after an unprecedented tide of Central American children showed up at the United States’ southern border, the U.S. said it would offer some Central American children the chance to apply for refugee or another protected status without having to leave their home countries. The new program announced by Secretary Kerry in January is intended to build on that existing program, expanding both the number of at-risk Central Americans eligible for protection and their options for refuge. 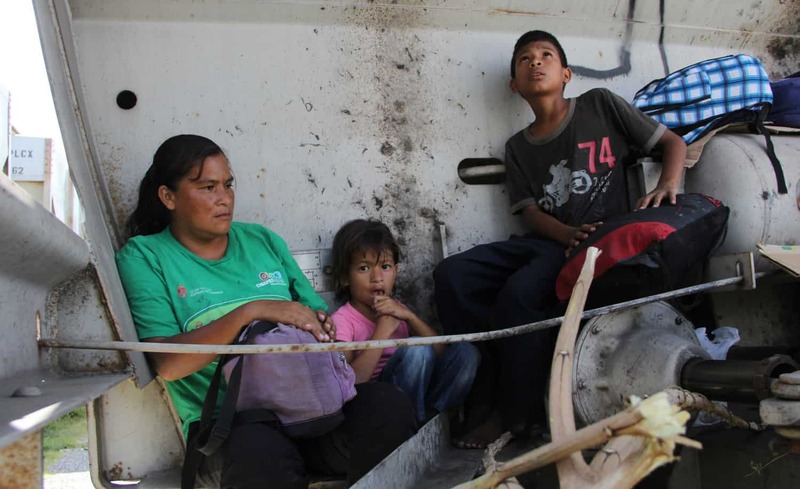 It was billed at the time as “offering a safe and legal alternative to the dangerous and irregular journey many are currently taking in the hands of human smugglers.” The U.S. would work with the UNHCR to offer Central America asylum-seekers a way to apply for refugee status from their own countries or from a third country. But Richard said the details have yet to be worked out. “We’re intent on having it but we don’t have every piece of it fully developed yet,” she said. One key piece of the program is finding a third country, or countries, willing to host asylum-seekers while their applications are processed. Richard said that process takes an average of 18 to 24 months worldwide, although she said the processing time through the special program for Central American minors has been shorter: eight to 12 months. Richard said negotiations to find a third country to accept asylum-seekers were happening on the sidelines of last week’s conference, but she declined to give any further details. Families and individuals have reported frustration with the slow timeline of seeking safety through official channels. But some experts say setting up a smart, effective program will take time. Faye Hipsman, a policy analyst at the Washington-based Migration Policy Institute, said the program was initially announced with a seeming sense of urgency. “But when you look at the nature of what was planned, a fairly complicated refugee program and complicated negotiations with neighboring states … it’s not terribly surprising that it hasn’t been set up yet,” she said. “They have to agree to have a greater role in the migration crisis,” she said. Costa Rica is already playing a role in the crisis as an increasingly sought-after option for asylum-seekers from the Northern Triangle, particularly El Salvador. Asylum applications from other Central American countries rose more than four-fold here between 2013 and 2015. Nearly half of the roughly 1,500 asylum applications Costa Rica received in the first half of this year were from Salvadorans. But Costa Rica’s resources for neighboring migrants fleeing their homelands have been stretched thin over the past year by the influx of Cubans and, more recently, African and Asian migrants trying to reach the United States. While the U.S.’s expanded refugee plan for Central Americans simmers, Assistant Secretary of State Richard said the existing program for children is ramping up. To qualify to come to the U.S. under the program, an individual must be under age 21 and be able to prove through a DNA test that he or she is the child of a lawful U.S. resident or citizen. The child must be unmarried and must either fit the legal definition of a refugee — fleeing persecution for reasons of race, religion, nationality, political opinion or membership in a particular social group — or be eligible for humanitarian parole, which generally has less rigid qualifications but also confers fewer benefits than refugee status. As of June, the U.S. had received applications from 9,216 people through the program, according to U.S. Customs and Border Protection data. Some 2,300 of those applications were approved either for refugee resettlement or humanitarian patrol — one-quarter of all applications. However, Richard said thus far just 600 individuals have arrived on U.S. soil through the program. She said the government was working on streamlining it, and aimed to get the refugee processing time down to six months. Richard said providing refuge for Central Americans fleeing violence — and addressing what’s causing them to flee — requires a multi-faceted approach. “It’s not enough to have one program that somehow miraculously is going to solve all of the issues related to refugees and migrants seeking better lives,” she said. To that end, the U.S. Congress approved up to $750 million in funding last year to address some of the root causes of emigration in the Northern Triangle. But Salvadorans, Hondurans and Guatemalans who have been targeted by gangs or organized crime can’t wait for long-term change. And they’re not the only ones: people around the world are fleeing persecution in their home countries on a mass scale, while receiving countries and humanitarian groups are increasingly overwhelmed.